Built and tested in Colorado! 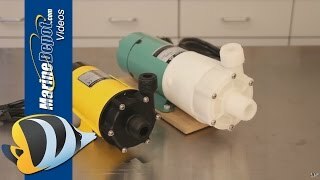 Reeflo`s Dart/Snapper Silver Hybrid pump have conversion kits that allow you to switch between models thereby adjusting flow and watt draw. This increases the flow range allows you to adjust the pump to your systems needs. Ideal applications for this unit are aquariums 75- 150 gallons. The ReeFlo Dart/Snapper Hybrid Pump is great for close loop reef systems and return pumps requiring high turnover. Reeflo is one of the best pumps I've used and this one is no exception. It's perfect for my 150 gal reef tank. Quiet pump good flow, using it on a 220 freshwater system with a 100 gal sump seems to be handling everything fine.